I love how unique this cover is! The central image on white is so stark and visible, and WHOA. It takes the typical girl face cover and subverts it into a twisted conflagration--which I can only guess will become super important. It screams VIBRANT MURDER MYSTERY. 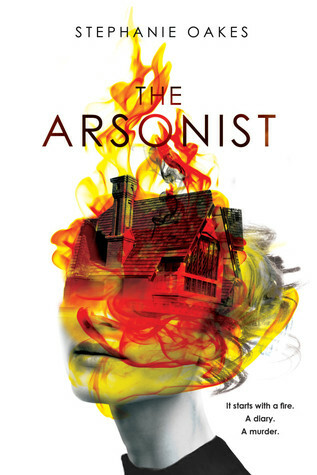 And the text is weaved in so perfectly, with the fire leading the eye up from the tagline to the title and author name and then away in smoke. It's like something you'd see in a Surrealist art exhibit. I can't wait to see it in person. Really, really cool cover! It's definitely striking! Isn't it? I saw it in a list and my eye was so drawn!